Your partner every step of the way. As your central sterile partner, we share our industry expertise and broad product portfolio to help improve patient outcomes and exceed facility expectations. We provide sterile processing departments with the best of both worlds: exceptional quality products you need to serve on the frontline of patient safety, and the widest range of supplies in the industry. Few truly understand the meticulous work that occurs in the SPD. We do. Beyond high-quality supplies, we also support your teams with continuing education and ongoing support from experts in the field. 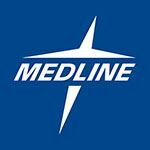 Medline is the largest privately held manufacturer and distributor of medical supplies uniquely positioned to provide products, education and support across the continuum of care. Our ability to bring best practices from one care setting to another is what sets us apart. We have made it our mission to provide quality medical products with superior value to health care providers and end users, improving patient care and enhancing the quality of peoples’ lives.